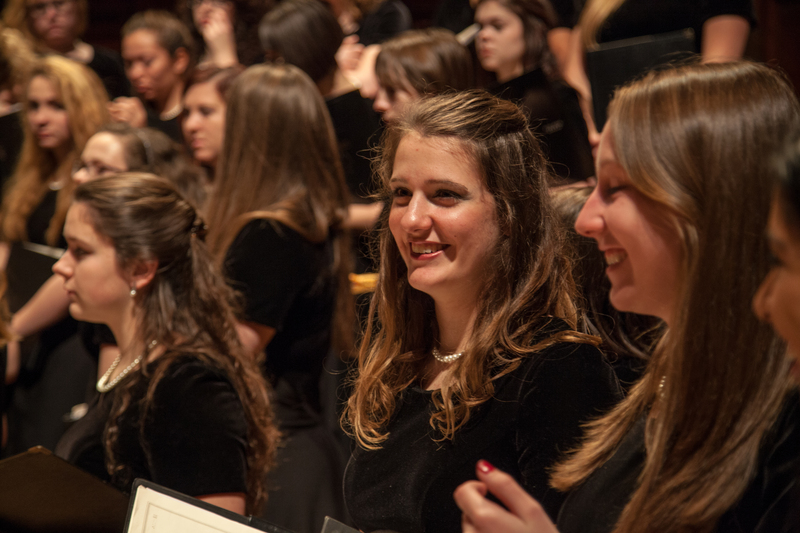 The School of Music offers seven choral ensembles for accomodating all interested students ranging from novice to expert singers. The choirs and their meeting times are listed below. Auditions for Women's Glee Club will be held on Tuesday, January 15, 2019 from 1:00-3:00PM in Music Building Room 4036 (Prof. Solya's Office).